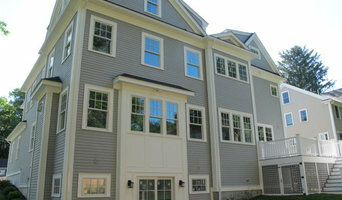 Stonehedge Developments renovates and builds custom homes throughout New England. We understand that our reputation with our clients is the "life line" of our company. That is why we emphasize integrity, honesty along with our solid commitment to our homeowners to provide them with the highest quality of workmanship and relentless approach for customer satisfaction. From the onset of your project you will witness the passion that Stonehedge shows towards your project. We view each project as if it were our own. Throughout your project we are continually interjecting ideas and solutions to better enhance your project. Our pledge is to establish lasting relationships with our customers by exceeding their expectations and gaining their trust through exceptional performance by our entire company. We feel we will have failed if we do not achieve Complete Customer Satisfaction. Catamount Builders has been crafting homes since 2004. With a diverse and specialized team with over 75 years of cumulative experience, we can build your custom home from foundation to finish or simply finish the exterior remodel you haven’t had time to do. Our keen eye and personal touch will give you a different construction experience. We are not just construction workers — we are builders, we are crafters. Your project will be approached and met with exceptional care and unmatched quality. At Catamount, you and your home are our number one priority. We are more than a building crew – we are a team. We are proud of the talented and dedicated team we have built, and we are focused on delivering extraordinary results. Contact us to see how we can help you craft your vision today. 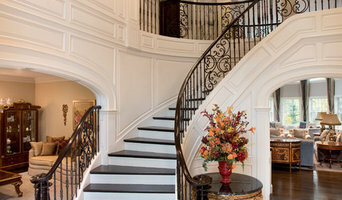 At Atlas Contracting, Inc. we specialize in custom new construction, remodeling, and restoration. We are a full service provider for our clients in all sizes of design and build construction services. We focus on team planning to succeed in delivering the clients full expectations with full focus on timely execution. J.M.L. 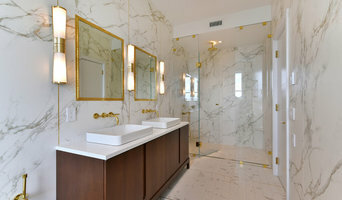 Custom Building & Design Inc.
We do everything Real Estate! Buy Distressed Properties, Develop Land, Build New Construction, Renovate, Sell, Kitchen & Bath Remodels, Exterior Carpentry, Siding....We Do It All! Unique Homes is an award winning, independent residential land development and home building company locally owned and operated for thirty years from its offices in Medfield, Massachusetts We specialize in designing and building homes for the way people want to live today. Whether our client is a baby boomer wanting to downsize to a smaller, quality built home or a young family looking to optimize space; we listen carefully to all their needs and work collaboratively with our clients. By combining the best ideas of our client’s and the ideas of our team of experts, the result is a custom, unique home of the highest quality. We Do Everything: find land, design your home, and custom build to your specifications! The multiple layers of expertise available at Unique Homes allows us to provide a level of service unsurpassed in the Greater Boston area. We are a small home remodel business, we are proud of what we do and we focus on delivering the dreams for our customers. Brendon Homes, a four time national award winning builder with two gold Prism awards plus gold and silver Cornerstone award's (the highest achievement recognized in the building industry) not only builds lifestyles, but legacies. When your family moves into a Brendon Homes Custom Home your future is secure. Old world craftsmanship combined with modern technology create an ambiance that has served thousands of satisfied homeowners successfully over the past 25 years. Go Modular is one of the oldest modular home builders in the northeast. Customization has always been our specialty. We are not talking about a stock plan and white out, which is a very dangerous proposition, we are talking about full customization capability. This will insure your home to be as beautiful as you always dreamed it would be. While we are proud of the quality, style and distinction of our modular homes, we are even prouder of our unmatched commitment to service and excellence.